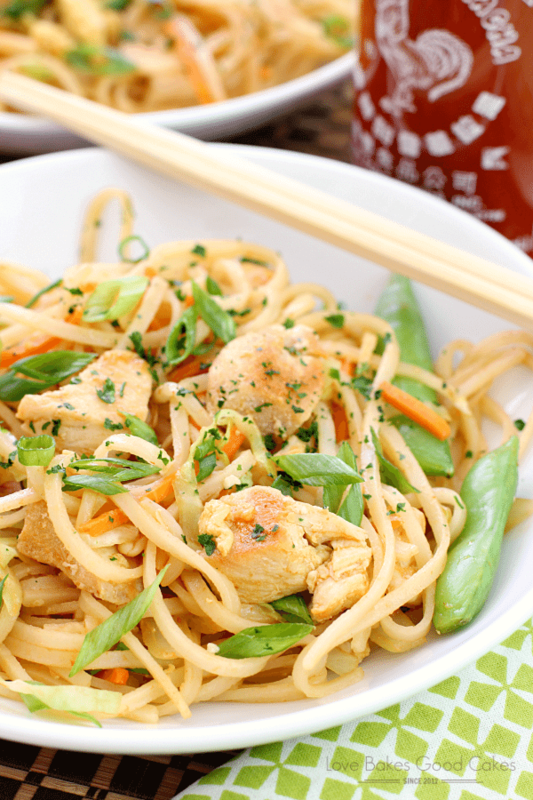 Spice up dinner with these fiery and delicious Dragon Noodles! 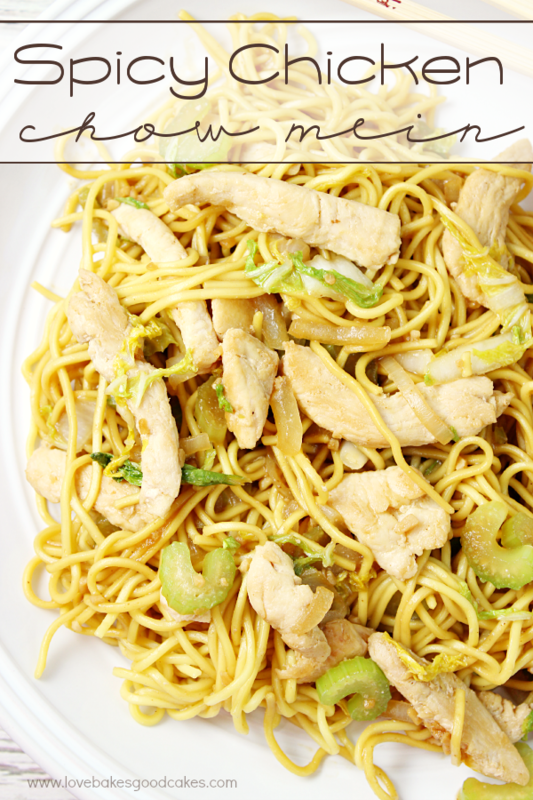 This quick and easy recipe will have you in and out of the kitchen in no time! Wowza, y’all. 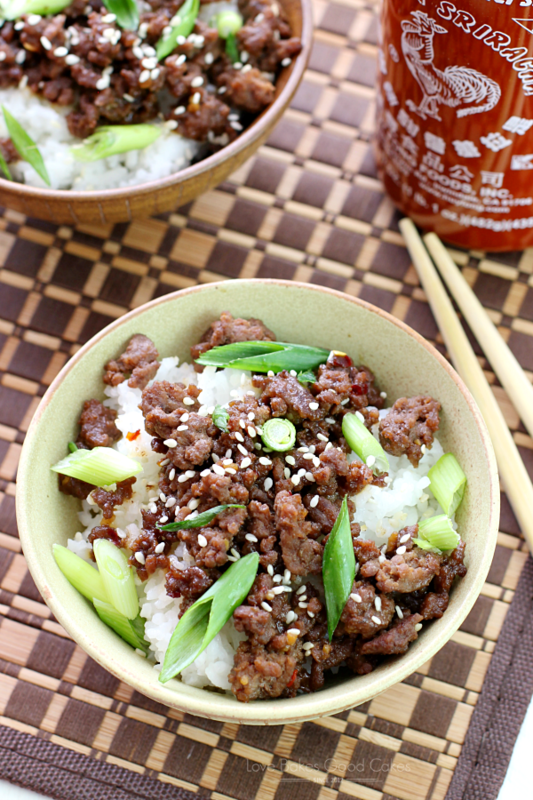 I hope you’re a fan of spicy food because I’ve got a great recipe for you today! If you like it hot and spicy dishes, you MUST make these noodles!! Soon!! Go get the groceries you need and make this!! Seriously, go!! 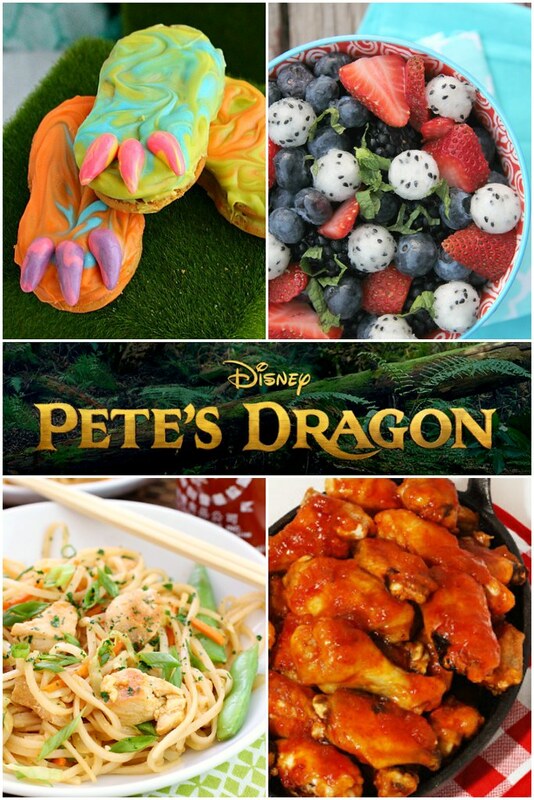 As you may have heard, Pete’s Dragon is in theaters today! My kiddos have been looking forward to seeing the movie and I’m hoping we can squeeze in a showing next weekend. This weekend is just too crazy. 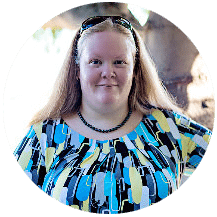 As you know, I’m part of a Blockbuster Blogger’s Group that shares recipes, crafts, or other fun things for one movie each month. 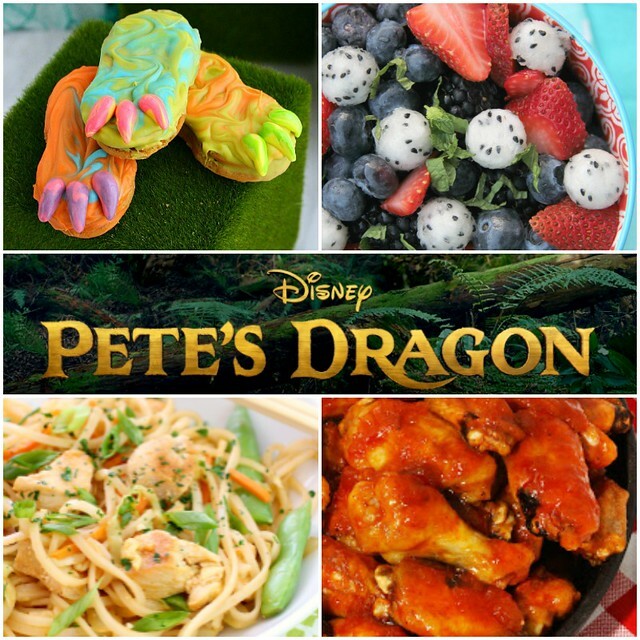 When I saw Pete’s Dragon was the movie we were doing this month, I knew I wanted to make these Dragon Noodles. I have to admit that they’re a bit too spicy for my youngest two kiddos, so I usually make something a little more mild for them! But the rest of us, we love them!! Bring on the fire-breathing!! 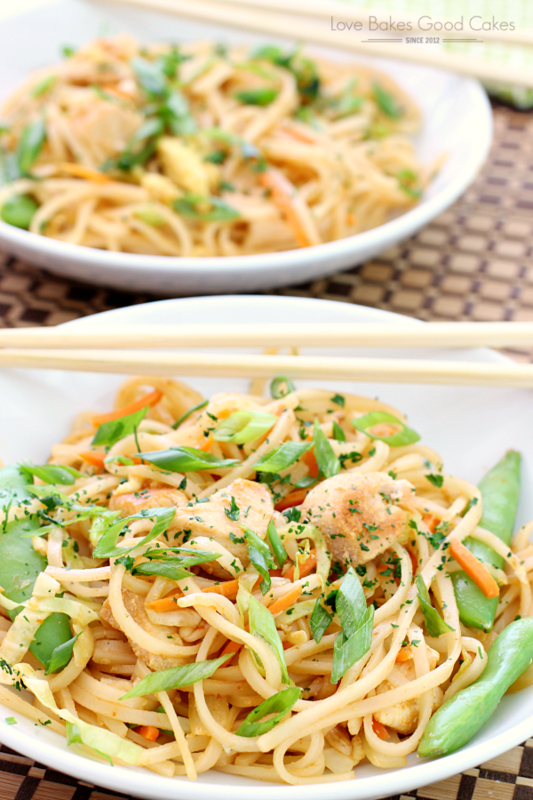 This recipe was inspired by Budget Bytes Dragon Noodles recipe. If you like spicy, then this is the recipe for you. It’s not called Dragon Noodles for nothin’. They’re almost addicting with the spicy sweetness. Trust me when I tell you that you will feel like you’re breathing fire! 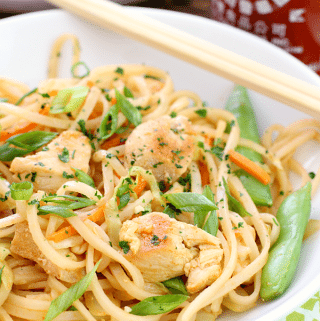 I added a few things to make it more of a complete meal with chicken and veggies – but I am sure the noodles would rock just the way Beth made them. 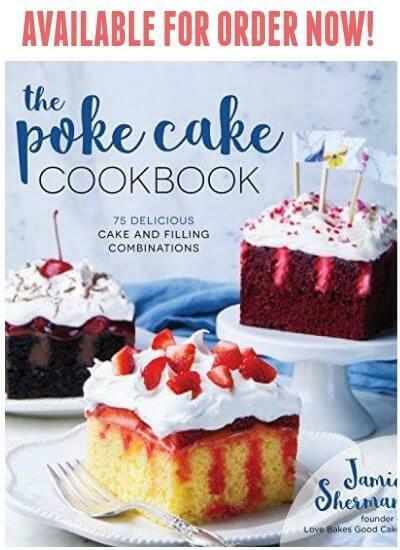 I think one of the best things about this recipe is how versatile it is! Meanwhile, melt butter in large skillet or wok. Scramble eggs over medium heat until cooked through. Transfer eggs to a bowl and set aside. In the same skillet, heat vegetable oil over medium-high heat. Add the chicken, cooking until browned, turning occasionally, about 5-7 minutes. Transfer to a bowl and set aside. In the same skillet, stir-fry the onion, garlic, peas, and carrots 2-3 minutes. Stir in the cabbage and continue to stir-fry until the veggies are tender-crisp about 2-3 minutes. 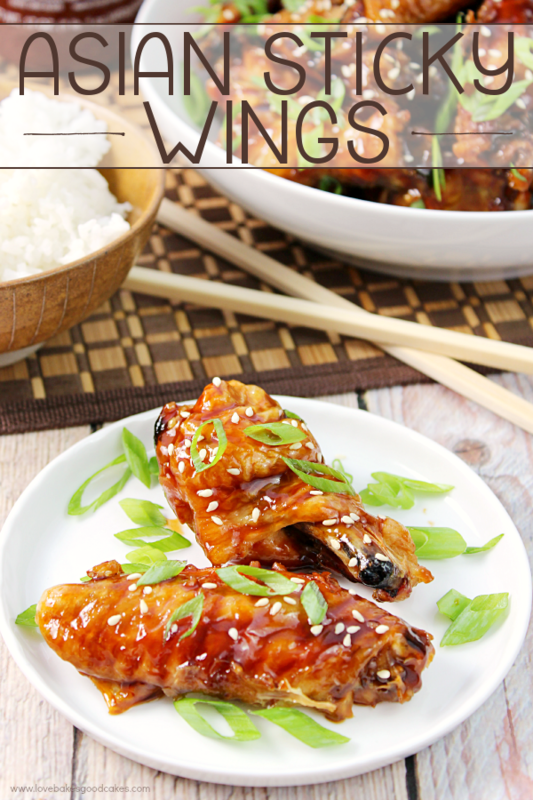 In a medium bowl, combine the brown sugar, soy sauce, and Sriracha with a whisk until sugar is dissolved. Set aside. 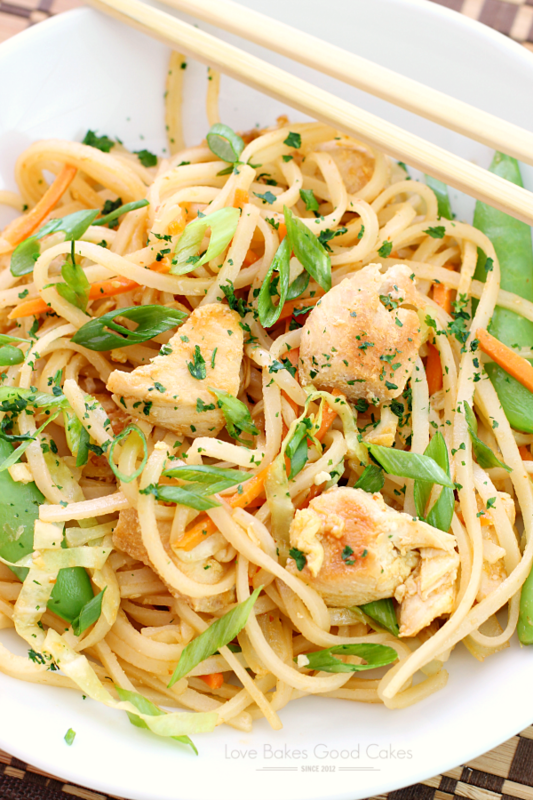 To the veggies, add the drained noodles, cooked chicken, and scrambled eggs. Pour the soy sauce mixture over the top. Using tongs, gently lift and stir until well combined. Garnish with cilantro and green onions. Serve immediately. 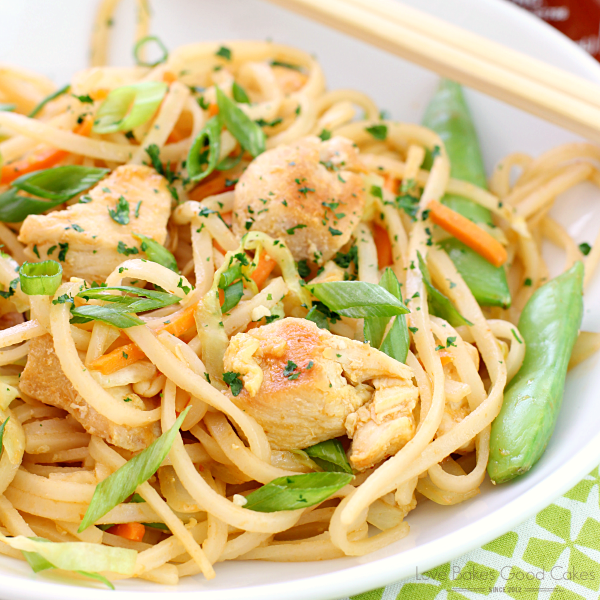 Note – You can find the stir-fry noodles I use HERE. Dragon Feet Cookies from Home.Made.Interest. Wow! 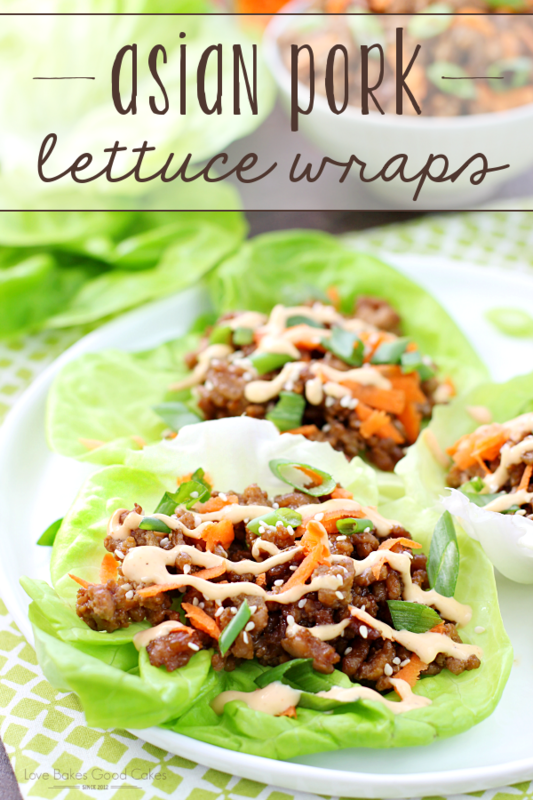 These look delicious and I know my hubby will love them! Totally putting them on the menu this week! These noodles were delicious! Such good flavor in the sauce. I used chicken thighs and prepackaged cole slaw mix for the cabbage/carrots to save some prep time. Thank you!